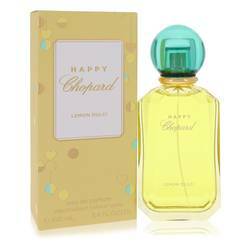 Happy Lemon Dulci Perfume by Chopard, Part of the Happy Chopard Eaux de Parfums line created by Dora Baghriche, Happy Lemon Dulci was released in 2018 and is a citrus-green fragrance for women. The top notes sparkle with mandarin orange, lemon, ginger, bergamot, and unique herb shiso from the mint family. 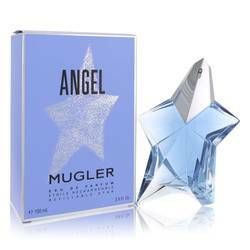 The middle notes continue with fruits, mango and apple, as well as orange blossom and cucumber, before settling into the base of mint and woody notes. 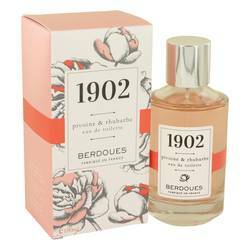 This refreshing scent is an ideal Read More Read More summertime fragrance. 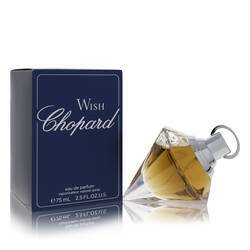 Noted especially for their watches and jewelry, Chopard was founded in 1860 in Sonvillier, Switzerland. Continuing the tradition with which it started, the company doesn’t use components for their precision timepieces from other companies, but prefers to manufacture most of them in-house. The company relocated to Geneva in 1921, and was sold to the German Sheufele family in 1963, who modernized and updated the company and facilitated its expansion into fine jewelry. All products are original, authentic name brands. We do not sell knockoffs or imitations. I was really impressed with the service at FragranceX.com. The prices were excellent, my order arrived sooner than expected, it was packaged beautifully, they included free samples, they kept me up to date on my shipment with emails (which included links to track it). All in all, this was one of the most enjoyable and easy net shopping experiences that I've had. 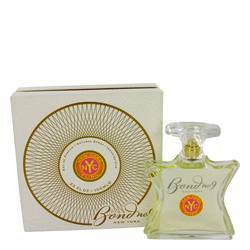 You can be sure that they will be my source for all of my fragrance needs!